At Warwick, our teaching and learning is focused on guiding students towards achieving their full potential. We make that happen by deepening the learning of all our students, allowing them to think across subject disciplines and appreciate the benefits of adopting a student research approach. We also understand that a healthy mind and body will help our students flourish. So, we ensure teaching and learning goes hand-in-hand with both physical and mental wellbeing. It's why our campus is a hive of opportunites to stimulate, celebrate and contemplate. 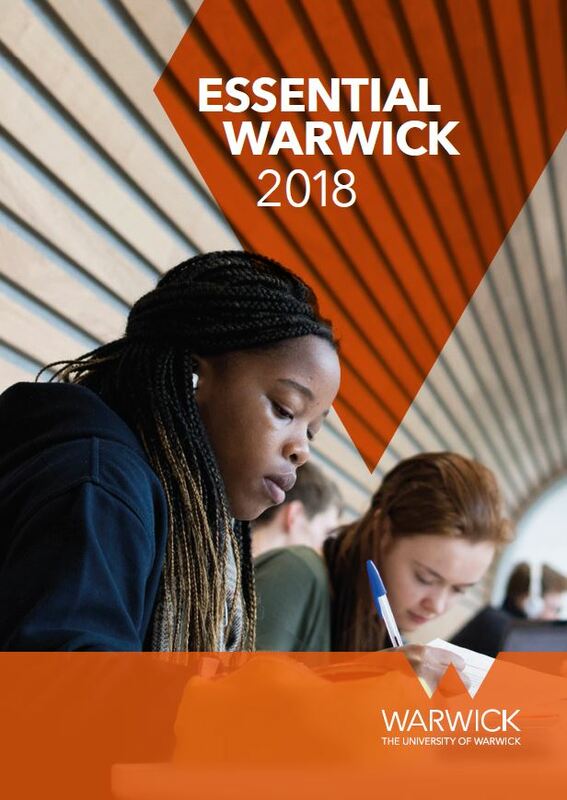 There's lots happening both inside and outside of Warwick's fantastic learning spaces, meaning our students learn skills - and enjoy experiences - that enhance their employability once they've completed their studies. Our students realise how our distinctive approach prepares them for the future. We understand that the world's employers are increasingly calling upon a particular breed of leaders and thinkers, and we nurture students that are prepared to ask difficult questions, and uncover surprising answers. However, our outlook goes way beyond the boundaries of campus. Studying and teaching at Warwick means being inspired by a community represented by more than 150 nations. And everyone here is encouraged to be outward-looking in their thinking.